There are a multitude of couplings available in Australia – both on road and off. Some excel in their simplicity, while others shine in pure performance in the toughest terrain. None though, have rolled the complete package into one tough, fully functional, easy to use design…until now. A visit to Vehicle Components in Brisbane saw the newly-developed Hitchmaster DO35 (Drop On 3.5 tonne) off road coupling in all it’s technical and practical glory. It must be said from the start that while there are many handy blokes working away in sheds all over Australia, there are very few that can back up their creations with absolute proof that their product will handle the job intended – both in strength, design and with ADR approval. The crew at Vehicle Components are one such company that can prove their product to the nth degree with qualified engineers that have seen the DO35 from dream to inception. From computer aided design and test programmes, right through to real life testing which involved a complete team that hitched up heavily-weighted trailers for a no-holds-bar trip to Cape York, along with countless backblock miles to ensure nothing was left to chance with their design and manufacturing process. They have even gone to the trouble of posting video footage of some of their testing on their web site at www.vehiclecomponents.com.au. The DO35 overcomes many other off road couplings lack of ease at hitching up while the trailer is on uneven surfaces. While many hitches are easy to attach while on the concrete-surfaced garage where everything is easy to move and roll, try doing it in the soft sand at the beach or muddy campsite where you can’t physically move your trailer or caravan – that’s the real test! The DO35 two-way swivelling head (70 degrees vertically and 360 degrees axially) in combination with horizontal rotation around the tow pin allows uncompromised articulation between tow vehicle and trailer (or van) in all three axis’ simultaneously – some others do not, regardless of their claims. The DO35 utilises its own unique towing pin (that replaces a standard 50mm ball) and is supplied with the hitch and simply bolts to your existing tow bars tongue. Once the self-aligning, drop-on, swivelling-head is lowered onto the towing pin (which is easily done at most angles or grade), there is an automatic primary locking mechanism along with an automatic secondary locking mechanism to ensure total safety. Releasing the hitch from the tow vehicle is just as easy by unlocking the two pins and winding up the trailer jockey wheel. For large, heavy vans there is an optional weight distribution adaptor kit – a first for an off road coupling – to help keep the tow vehicle and van level. Of course during any off road driving, the weight distribution bars must be removed to allow full articulation. The DO35 is SA5 coated (for rust prevention), is fully greasable (for easy maintenance and long life), has polyurethane bushes (for quiet operation and shock absorption) and comes with a multi-fit, 6-hole bolt-on design for easy fitment to any trailer or caravan. The low profile of the DO35 also ensures your tailgate is unlikely to strike the hitch when swung open. The team at Vehicle Components claim their new DO35 hitch is fully ADR compliant and has been tested to exceed its 3500kg rating – a great thing to put your mind at ease if you’re ever unfortunate enough to be involved in an accident and insurance claim. Having used most other off road couplings on either my own trailers or test units, I can vouch for the hassle some others present in particular circumstances of hitching and unhitching, along with the ease at which the newly developed DO35 overcomes these drawbacks. The DO35 does have more parts to it than many other simpler units, which rightly or wrongly may deter some, but the advantages certainly overshadow any possible downsides. Vehicle Components are no strangers to the trailer and caravan industry – the well know AT35 off road hitch and range of Cruisemaster independent suspensions are also manufactured by them. 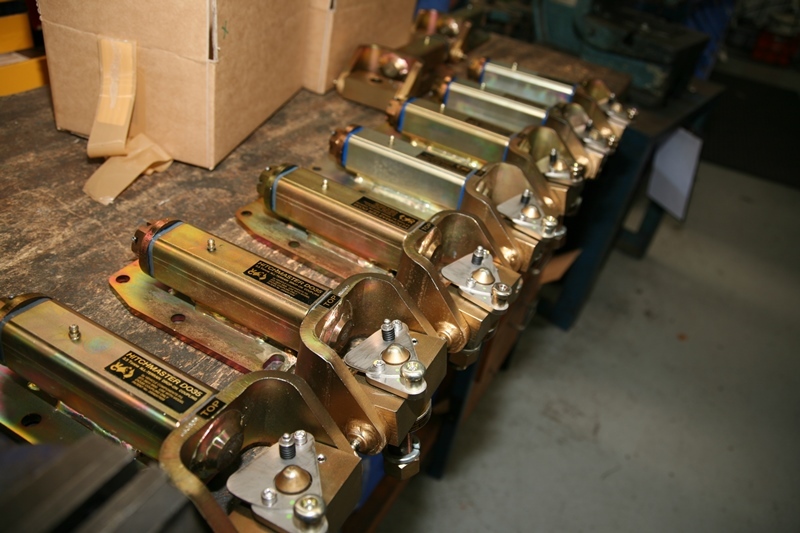 For more information on the DO35, log onto www.vehiclecomponents.com.au or call (07) 3624 3800. Single units to private buyers, as well as multiple units to trailer manufactures are all catered for, so it’s nice to know the man-off-the street can walk in and purchase a unit for his own new trailer of caravan, or even to upgrade the old unit already in use.